The relief map of South Central Montana will help you locate geographical features such as rivers and mountains. 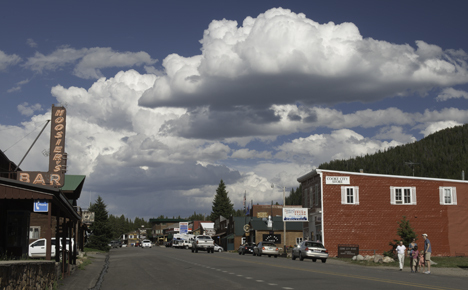 Cooke City is a small community of approximately 100 year-round residents. Located in the Beartooth Mountains, Cooke City is an alpine village with snow much of the year. The scenic Beartooth Pass on Highway 212 connects Cooke City with Red Lodge. Founded in the 1870's by gold miners, Cooke City was known as the Miners Camp. In 1882 the town was officially name Cooke City in honor of Jay Cooke Junior. Surrounded by the Gallatin and Custer National Forests and Yellowstone National Park, Cooke City has endless recreational activities for the outdoor enthusiast.